Dense fog, snow and sub-zero temperatures, burning stoves and churning seas: the Greek winter in seven images. 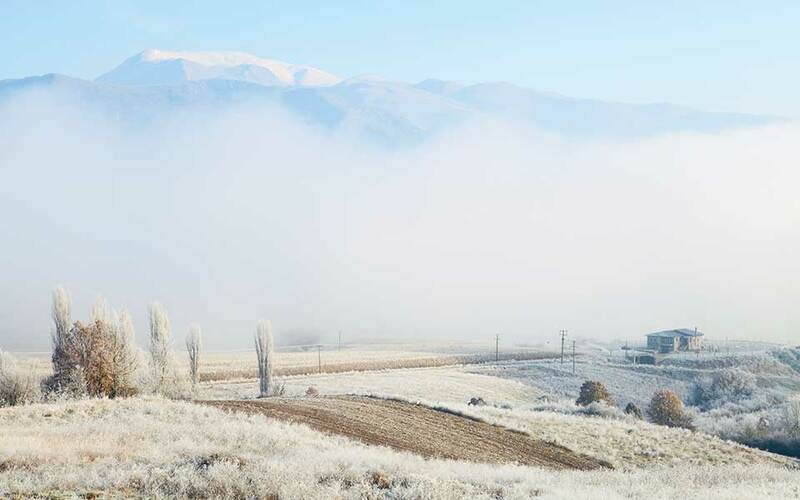 A thick layer of morning frost blankets the fields of the plain of Neapolis in the northern region of Kozani. As you walk you hear the low growth crunching underfoot as if you are walking on broken glass. The Aliakmonas river which runs through the area flows placidly, and the surrounding slopes of the mountains of Askio and Voi are blanketed in white. Gazing up from the foothills to the peaks you see the snow grow ever thicker. Freezing temperatures are a given, but the ubiquitous icy white layer imbues everything with an added beauty. 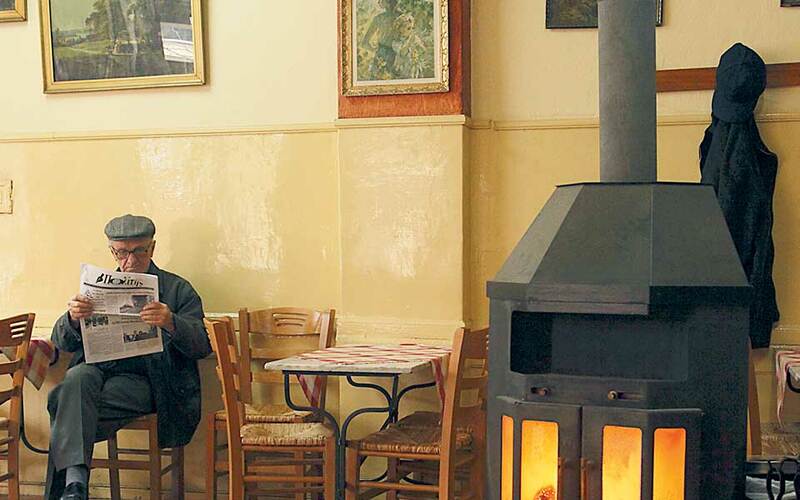 In Prespa in deep winter, the fog hungrily swallows all in its path. Situated between mountains are two large lakes and dozens of villages - which you may not see at all. 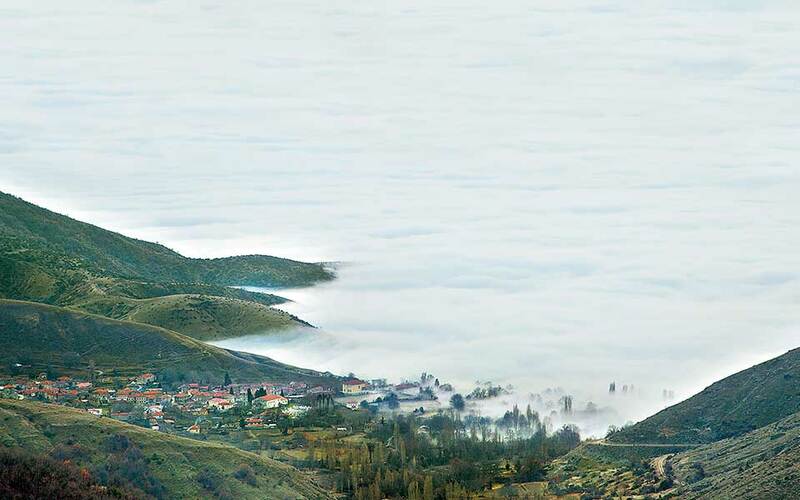 At popular viewpoints, there is often no view to speak of; beneath, instead of the lakes on the border with Albania and FYROM you see a sea of clouds – a truly ethereal sight. The village of Aghios Germanos is located at an elevation of 1,000m. If you follow the dirt roads even higher on Mount Varnoundas you'll see the mountains of three countries as if looking at a three-dimensional map. Or you might see the clouds roll in and cloak the villages in a few minutes – an equally wonderful sight. 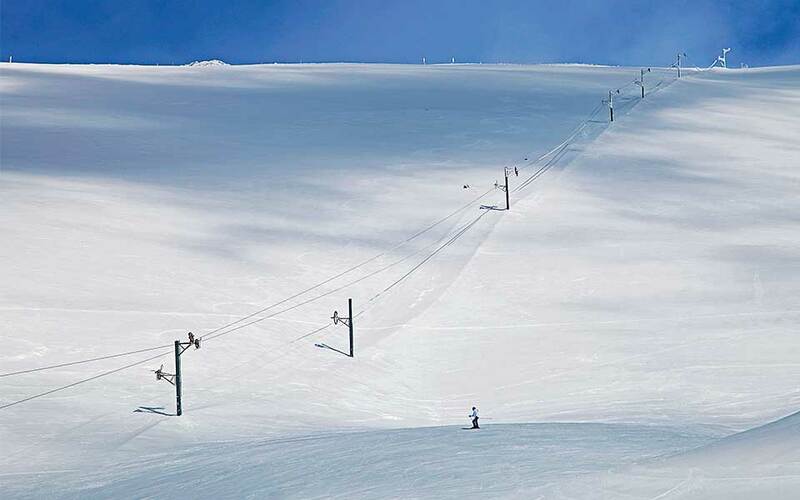 You rarely see the slopes of the Parnassos ski center empty of people. Next to the cosmopolitan village of Arachova, and only a few hours from Athens, it is the most popular in the country and its facilities are also among the best. If you come on a weekday, however, you will feel as if you have the entire mountain to yourself – particularly near the tops of the slopes, away from the chalet and lift lines. There you hear the otherworldly silence of the snow, and you feel completely free: at once a master of the world and nature's humble guest. In winter mornings the dampness and fog linger stubbornly in the Amyntaio basin. Until midday one moves around Zazari Lake uncertainly, feeling like the protagonist in a tale of mystery. You hear the twittering of birds, but you do not see them; you hear splashes as fish leap from the water but cannot located them; you hear sheep's bells clanging and chanting from a church but can make out neither a shepherd's hut nor a village. 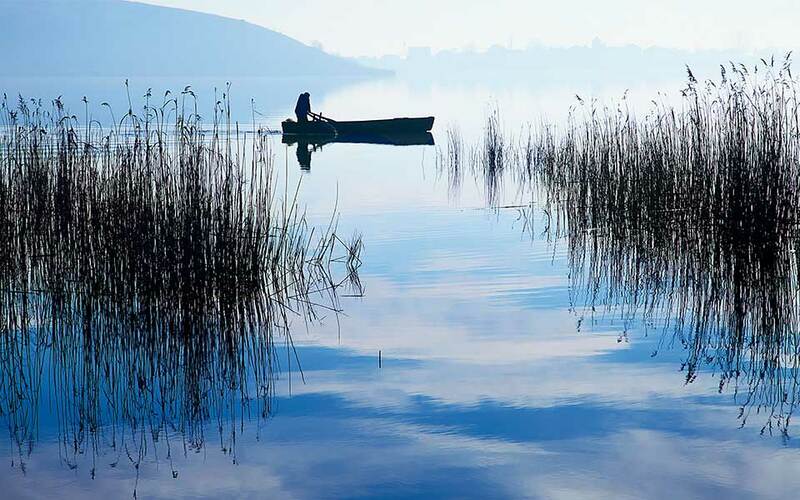 The reeds heighten the sense of mystery, so when a fisherman suddenly appears in his flat bottomed boat, you are certain that he is the ferryman of the underworld, come to carry you away. They say that the best seasons to visit this fortress town are the autumn and the spring. That is not true. Monemvasia is magical all year round and most enchanting in the winter. The harsh weather magnifies its deep history and incomparable atmosphere. And the romanticism for which its famed transforms into wildness. 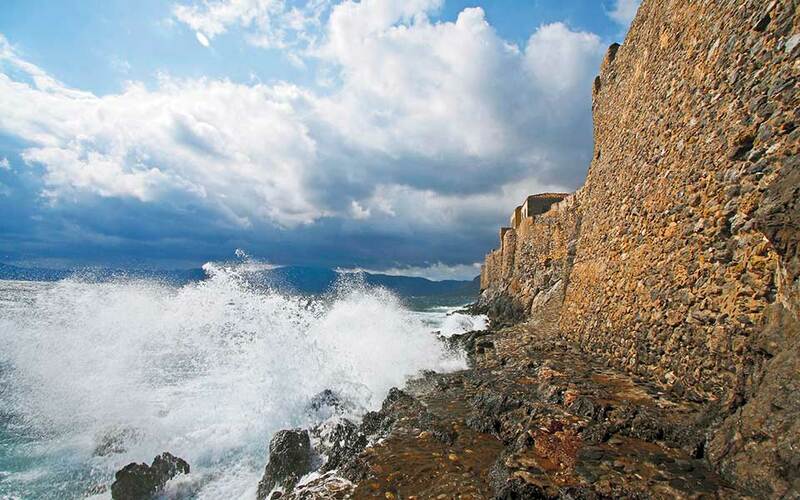 Large waves pound the sea wall that surrounds the citadel. By night, as you lay safe and secure in a warm guesthouse, you can hear the roar of the sea and feel the very rock on which the town is built vibrate. 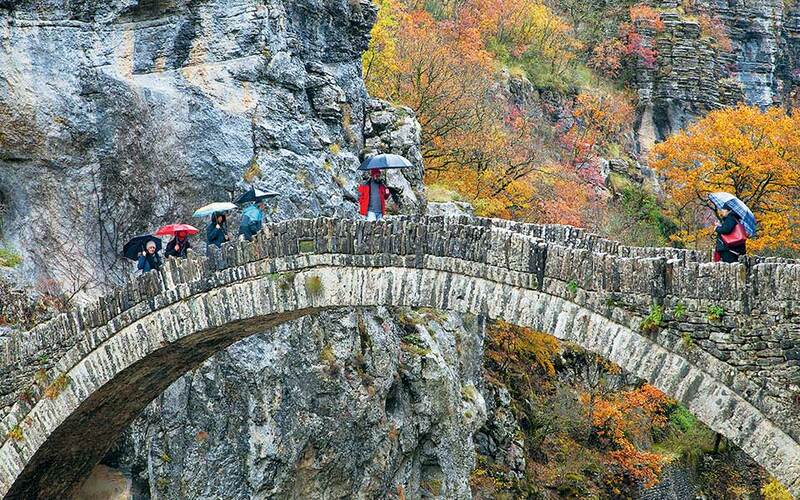 The stone bridges of the Zagori region were built in the 18th and 19th centuries to meet the need for people to travel and transport goods in a difficult landscape. Gorges were spanned thanks to these architectural marvels, on the arches of which bells were once hung to warn travelers of dangerous gusts. Today most haven't been used in years and some are disintegrating due to a lack of maintenance. But the Kokkori bridge, between the villages of Dilofo and Koukouli is a famous attraction. And on weekends it serves its original role – allowing people to cross from one side to the other.